It was my first time in Merlot and I have been wanting to do this for a while now. Robbie and Jon were brillant thoughout the day. 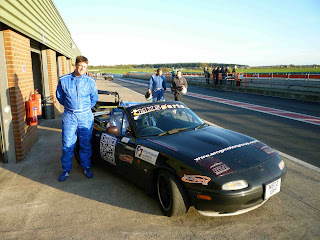 After doing the sighting lap and taking Robbie round as a passenger, I was let loose. The day started pretty damp and track conditions were slippy after a down pour on the way to the track, even Robbie got it sideways comming out of the hairpin turn. But soon a dry line appeared and with the aid of the semi slick tyres I soon started to get a good bit braver. I really enjoyed the whole day Merlot not once needing attention or repairs, every time I came off the track at the end of my session I had a whopping big smile on my face, but that is what its all about. 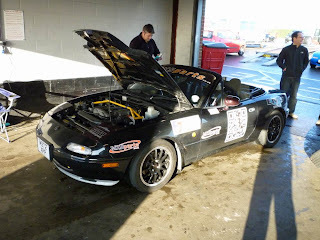 Thanks to all Robbie, John and a big thank you goes to Brian Chandler who took me for a spin round as a passenger in his race MX5, great car control and he showed me just what an MX5 can really do. Jon helps prepare the car for the track. Merlot makes the press again, again..!!! 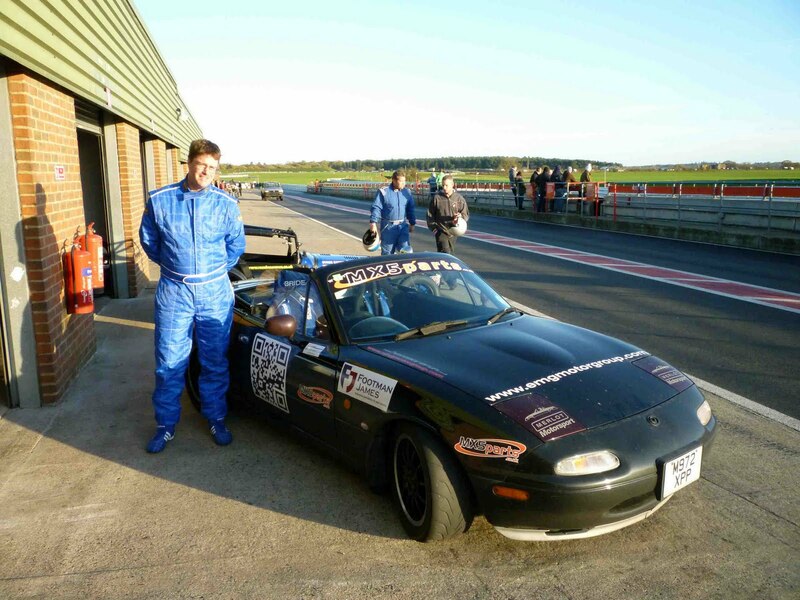 After her epic experience at the MX-5 Owners Club National Rally track day at Silverstone MX-5 Owners Club member Carole Perry couldn't resist sharing her experiences in the Club magazine, Soft Top Hardtop, December edition, centre page spread..... !